Neue Miniserie mit John: "Prey"
ITV has ordered a new three-part drama titled Prey, which is described as a thriller and hails from writer Chris Lunt and Red Production Company (whose drama series Scott & Bailey was just renewed for a fourth season). Production on the drama, which will star John Simm (Mad Dogs) in the leading role, is slated to commence on location in Manchester in October. John jetzt auch in Manchester?? Zur gleichen Zeit wie Phil?! Ich will da hin!!!! Eine Freundin von mir studiert zurzeit in Manchester. Vllt besuche ich sie mal, sagen wir, im Oktober. Ich würd ja jeden Abend unter der Woche auf Kneipentour gehen - stell Dir vor, Ihr trefft Phil und John beim gemeinsamen Abhängen!! Gott, das klingt so spannend! DC? Da ist er aber oft degradiert worden. Sind ja nur drei Episoden. Und da es für itv ist, nehme ich an, eine Folge dauert nur 45 min. Schade eigentlich. So apparently John Simm and Philip Glenister are filming near Piccadilly. Hope it's the latest Life on Mars spin off rather than Mad Dogs! 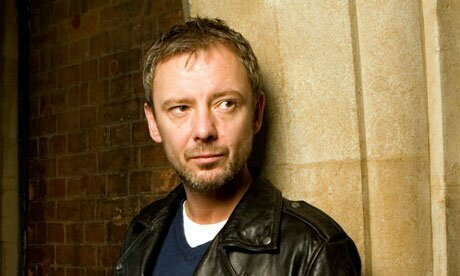 John Simm to lead the cast of ‘Prey’ in his first ITV drama. ITV has commissioned a three-part drama, ‘Prey’, starring John Simm, and written and created by television newcomer Chris Lunt. John Simm (Exile, TheVillage) will play Detective Constable Marcus Farrow, a well-liked copper, with a wife and two kids. Although he and his wife Abi are going through a rough patch, they’re trying not to let it disrupt life for their sons, Max and Finn. But when Farrow is found at the scene of a brutal crime, with all the evidence pointing towards him, his world collapses. Arrested and charged, it seems Farrow’s fate is sealed. So when he gets the opportunity to escape, he seizes it with both hands. Now Farrow is on the run in Manchester. A criminal on the streets he used to police. Detective Sergeant Susan Reinhardt is tasked with catching him, and so begins a high-stakes game of cat and mouse across the city. But Farrow is not just trying to evade capture. He is determined to find the truth – to get to the bottom of the crime of which he stands accused, and clear his name in the eyes of his family. As a wanted killer, Farrow has few allies. The only people he can turn to are his best friend DC Sean Devlin, and colleague DI Andrea Macgregor, but with Reinhardt breathing down his neck, Farrow knows he must be careful. With the clock ticking, will Farrow evade capture long enough to find the truth, or will Reinhardt get to him first? One thing is certain – for the sake of his family, Farrow is prepared to do things he never thought possible. And he won’t rest until he knows the truth. The drama is directed by Nick Murphy (Occupation, Blood) and produced by Tom Sherry (Scott & Bailey, New Tricks) with Red Production company founder Nicola Shindler (Unforgiven, Last Tango in Halifax) as Executive Producer. According to a tweet, Ray Emmet Brown, who played DC Glen Fletcher on LoM, has joined the cast of Prey. Two other actors were also mentioned: Jim Whelan and Daniel McCann. Also habe wir "Glen" bei John und "Annie" bei Phil! Scheint so, als ob Manchester filmmäßig ein "Kaff" ist. EXCLUSIVE: Rosie Cavaliero (Cabbage & Pat), Craig Parkinson (The Mill), Adrian Edmondson (Bottom), Heather Peace (Lip Service), Charlie Concannon (Moving On), Anastasia Hille (Snow White And The Huntsman) and Ezra Dent-Watson have joined the cast of ITV’s upcoming three-part drama serial Prey, which hails from television newcomer Chris Lunt and Scott & Bailey producers Red Production Company. Cavaliero has been cast as Detective Sergeant Susan Reinhardt, the police office tasked with bringing in Detective Constable Marcus Farrow; Parkinson as Detective Constable Sean Devlin, Farrow’s best friend and one of the few people he can turn to; Edmondson as Assistant Chief Constable Warner, who tasks DS Reinhardt to bring in Farrow; Peace as Abi Farrow, Marcus’ wife; Concannon as Max, Farrow’s son; Hille as Detective Inspector Andrea Mackenzie, one of Farrow’s colleagues and one of the few people he can turn to; and Dent-Watson as Finn, Farrow’s other son. They join previously announced main cast member John Simm (Mad Dogs) who is playing lead character Marcus Farrow. Production on Prey is now underway in Manchester, with ITV eyeing a 2014 premiere. Mit Dank an Peter Popper/TRA. Peter Popper/TRA hat einen Tweet des Autors gesehen, wonach gestern "up Saddleworth Moor" gefilmt wurde. Anscheinend müssen die Dreharbeiten drei Wochen ruhen, weil John sich bei einem Stunt verletzt hat. Ian Wylie berichtet unter Bezugnahme auf einen Tweet von Chris Lunt, daß Prey abgedreht ist. Es gibt auch ein erstes Foto. Finde den Link gerade nicht, aber man kann es bei simm-ply Simm auf jeden Fall sehen. Übrigens wird Prey vermutlich im April im Fernsehen ausgestrahlt werden! Mit Dank an jinxed und Peter Popper auf Simm-ply Simm. Ah, danke, Life! Wollt ich auch grad posten! Soll natürlich keine Kritik an Kate's Kochkünsten sein! Aber er sieht aus wie Haut und Knochen! Ja, das denke ich mir auch immer ... fit sein ist ja schön und gut, aber zu dünn ist auch nix. Wenn er vom Streß abnimmt, versteh ich das, aber wenn er meint, er müßte so dünn sein, Schauspieler und so ... da wär ich nicht damit einverstanden! ITV’s spring schedule has been given an adrenalin-filled shot in the arm thanks to a Briercliffe scriptwriter. 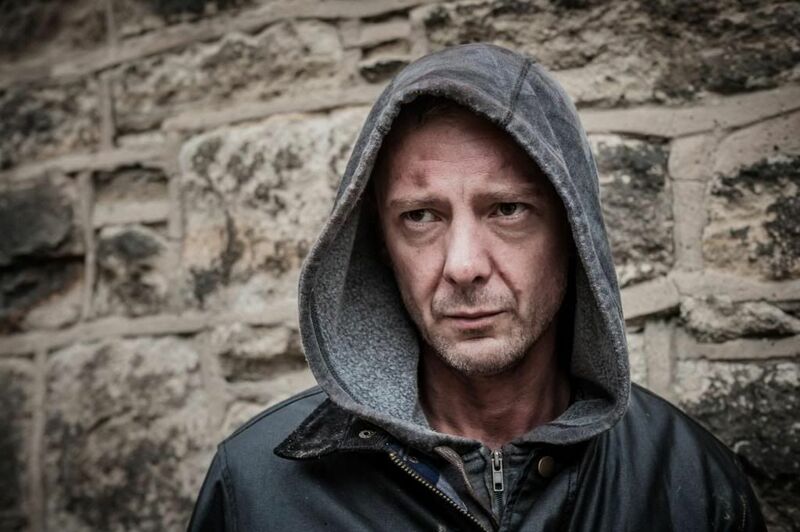 Three-part drama “Prey”, which was penned by television newcomer Chris Lunt and stars John Simm, will be hitting TV screens later this year. The show centres around family man Marcus Farrow, a detective who is forced to go on the run in Manchester after being accused of murder. “There’s lot of action, lots of stunts and a lot of entertainment,” said Chris (42), who works out of an office above his partner’s studio, Touch Hair and Beauty, in Colne. “It’s currently being trailed by ITV and it’s going to be primetime. We’re not sure of the exact broadcast date yet but it will be in the next few months. A passion of Chris’ since the age of 10, he only started writing professionally in 2010 after being made redundant from a job at CGI firm Red Vision. “One of the first things I ever wanted to do was write. I did work as a lathe turner, an engineer. I was probably the worst lathe turner in the country. I was abysmal. He started working part-time at a television company in Chester before a chance encounter saw him end up working for the Discovery Channel, travelling the world as a cameraman. “From there I pitched myself to Red Vision, a CGI firm, as somebody who could develop ideas for them for TV programmes and that’s how I broke into the scene really. When Red Vision went bust that’s when I decided to give writing a real go. “I was pitching a lot of high concept ideas; science fiction, aliens, that kind of stuff. They told me though that the chances are these ideas were not going to get made, because of how high concept they were. So they said let’s have a brainstorm and see if we can come up with something a bit more traditional. “So I pitched them this idea and they said ‘yeah, that’s interesting’. He did not imagine for one second that his script would make its way onto national primetime television. “You can’t do that otherwise you would go insane. The only thing you can focus on is what you do next. It’s such a fickle business. Every step you make is a success and every step you get paid for is a massive success. “Once you demonstrate that you can produce something, you are on your way . For some people it can happen quickly, for others it can take longer. “If you are an emerging or aspiring writer in this industry you will have a dozen plates spinning at any one time and you can’t count on any one of them hitting the TV screen. “Prey” finished shooting in January and Chris now finds himself spinning more plates than ever. “At the moment I’m doing a book adaptation for the BBC called “Bringing Down The Krays”; “Dreamland” for ITV, a cop drama set in the 1920s and “Division”, another one for ITV, which is a procedural cop drama. These are all script commissions so they haven’t been green-lit yet. I have a lot of things in development as well so I’m keeping busy.